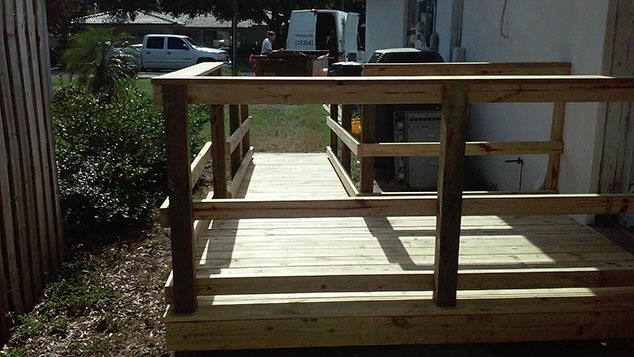 Our carpenters will build for you a customized, pressure treated, wood ramp specifically for the size of your mobility equipment and the contours of your yard. 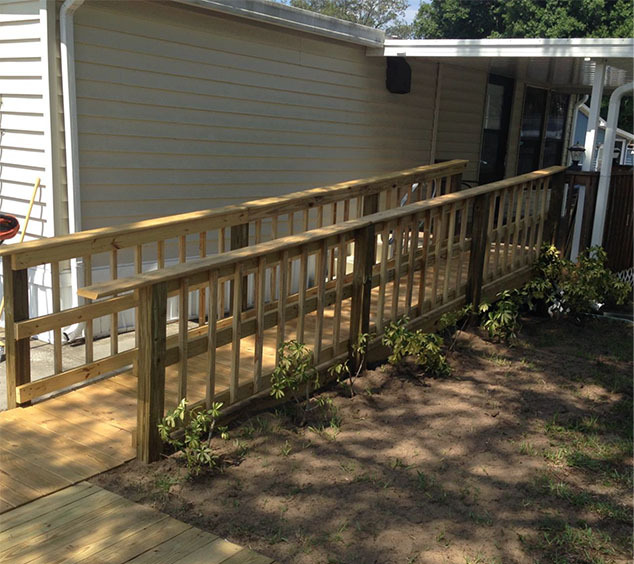 Our goal is to make your customized wood ramp look like it is part of your yard’s décor. 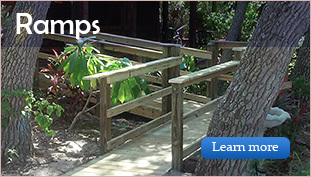 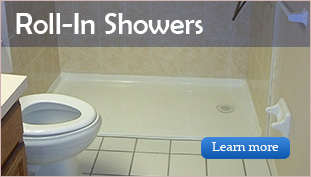 We can even help you landscape and irrigate around it. 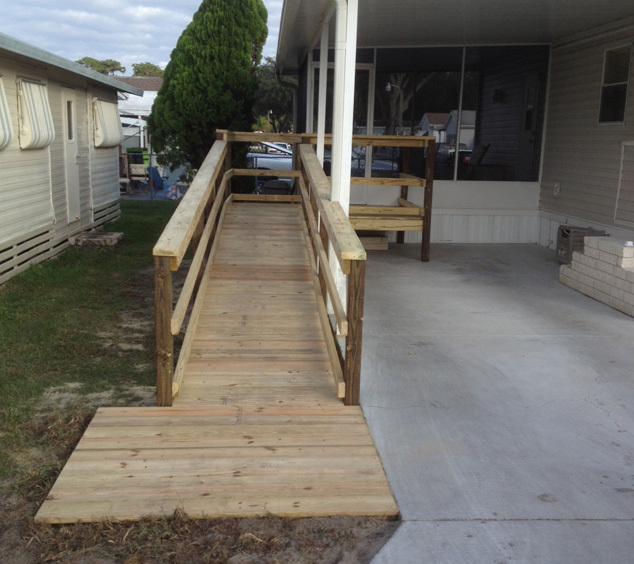 We design our ramp systems to end where you can easily roll to your desired destination. 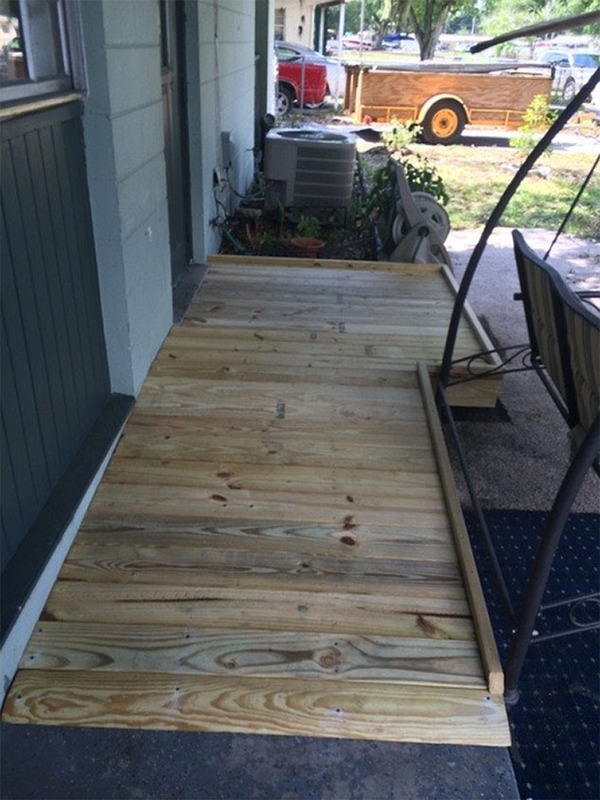 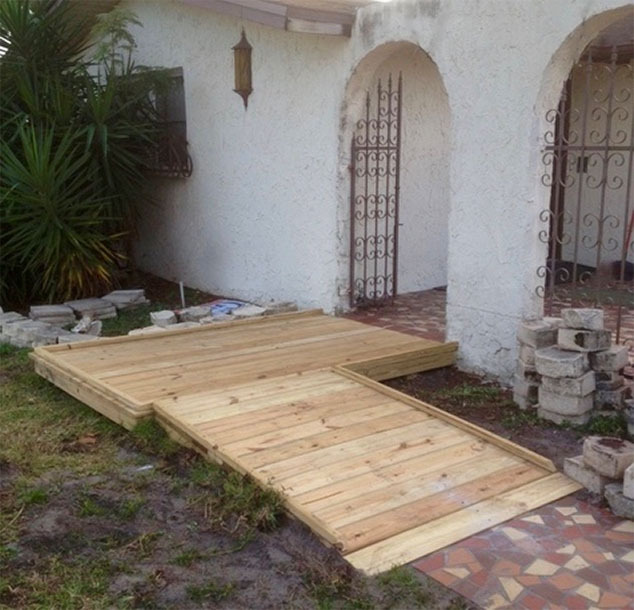 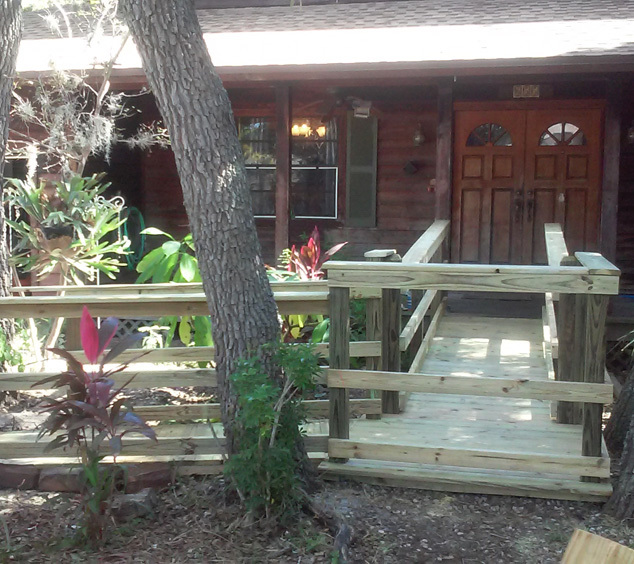 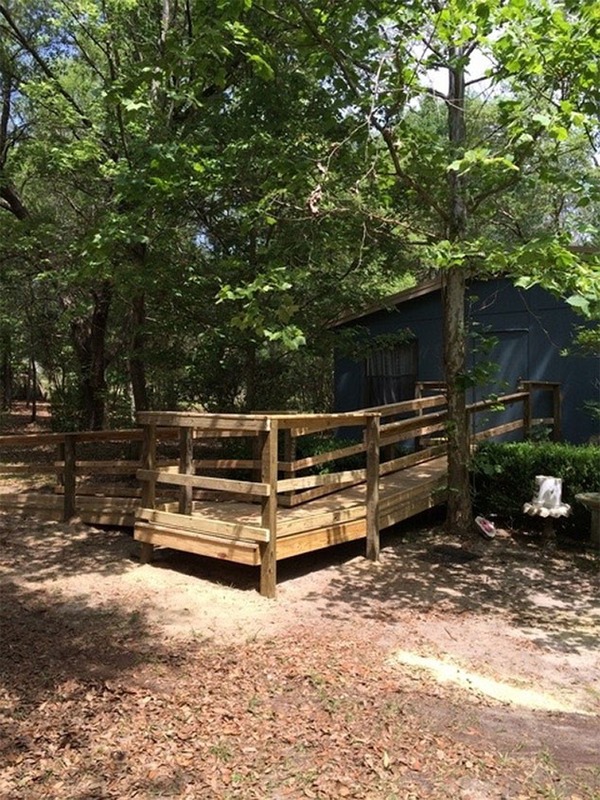 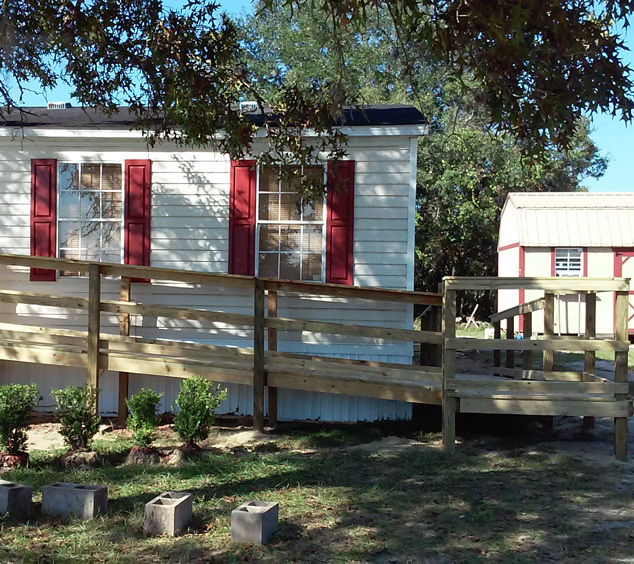 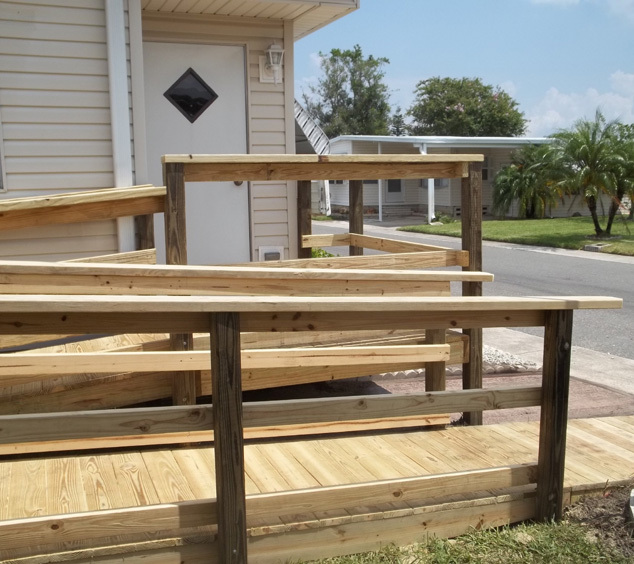 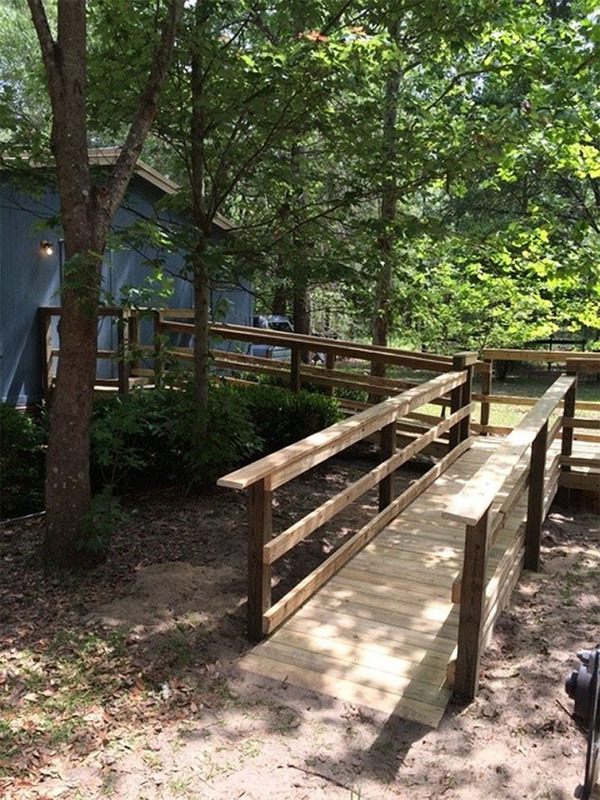 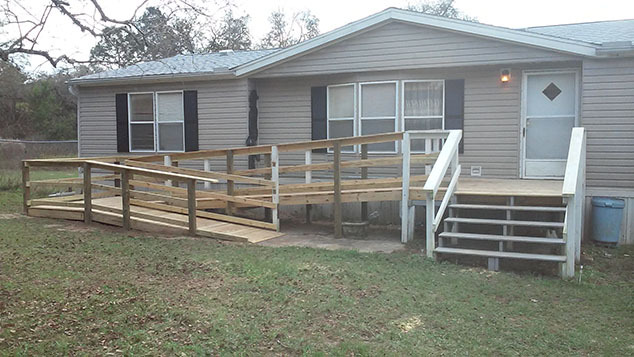 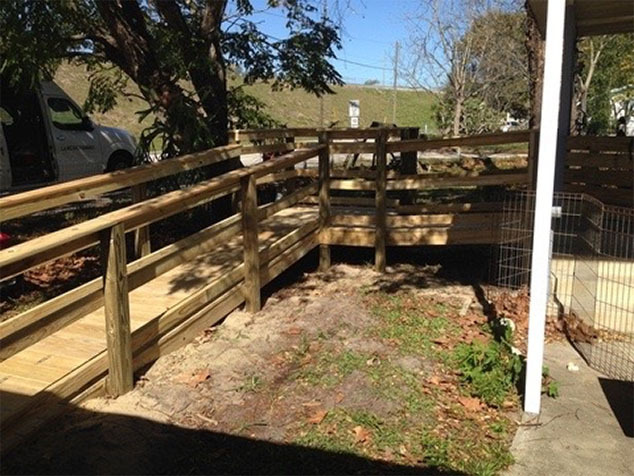 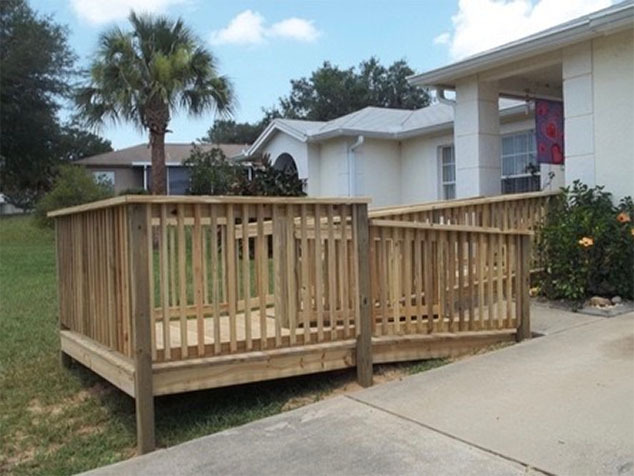 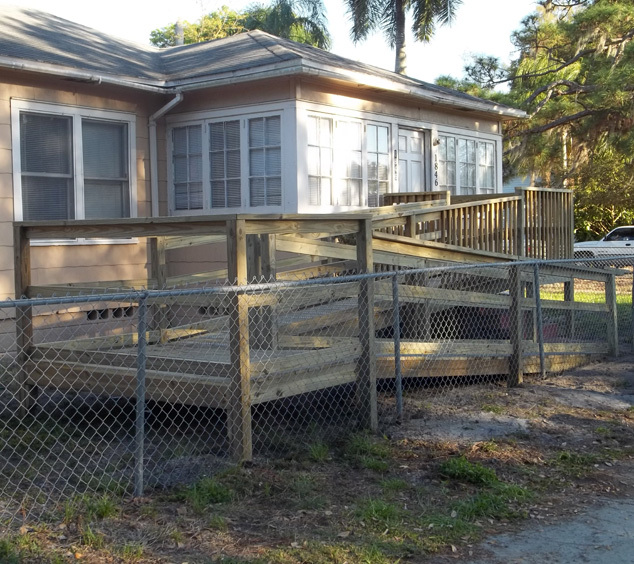 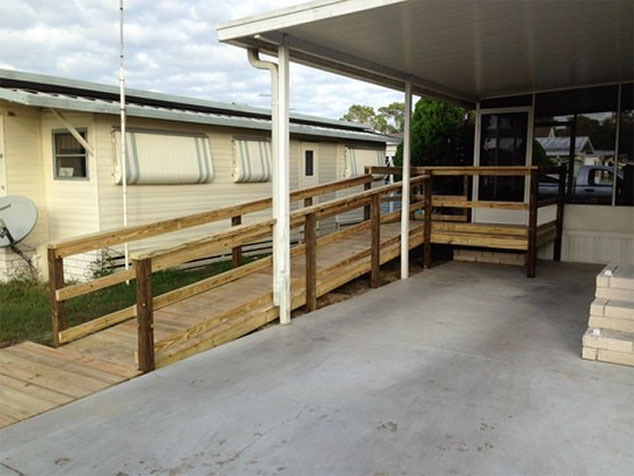 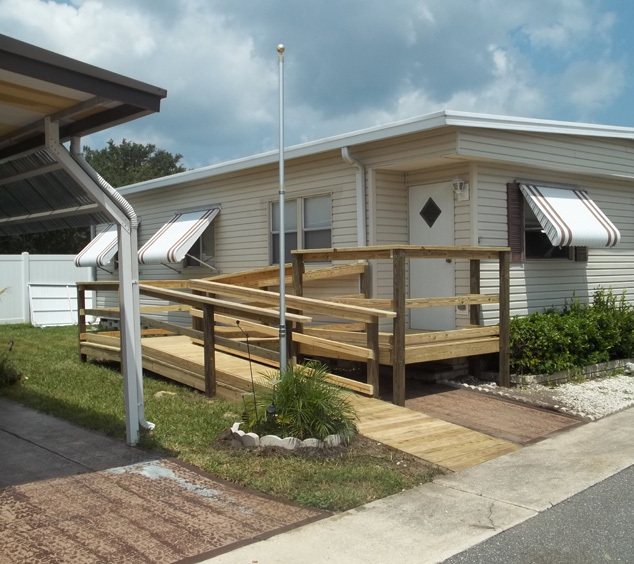 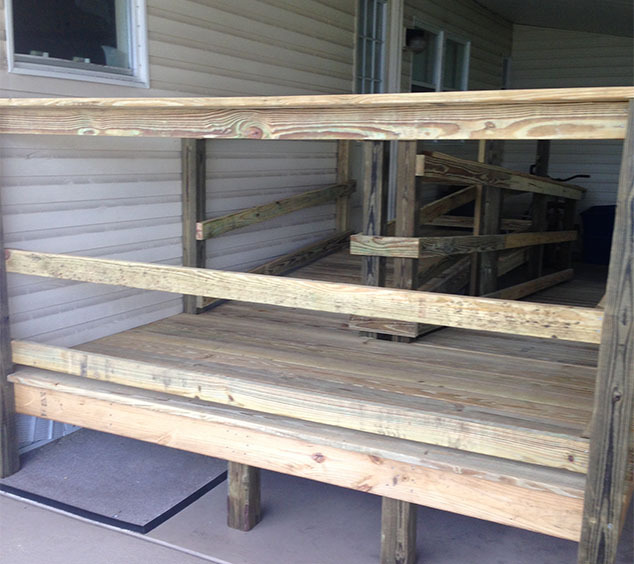 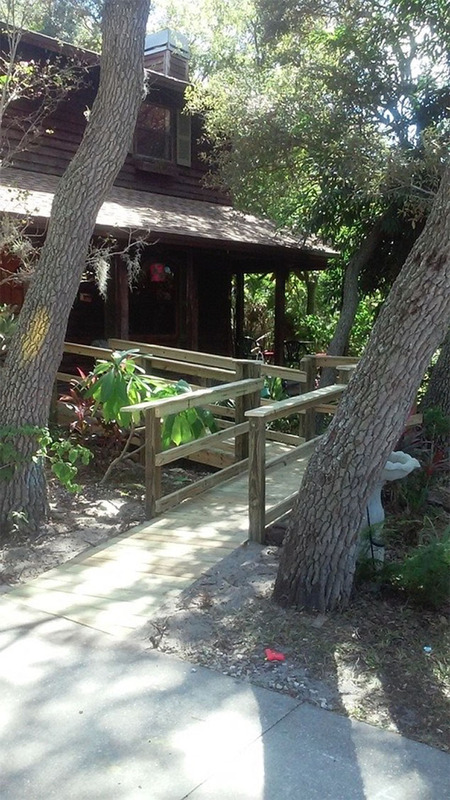 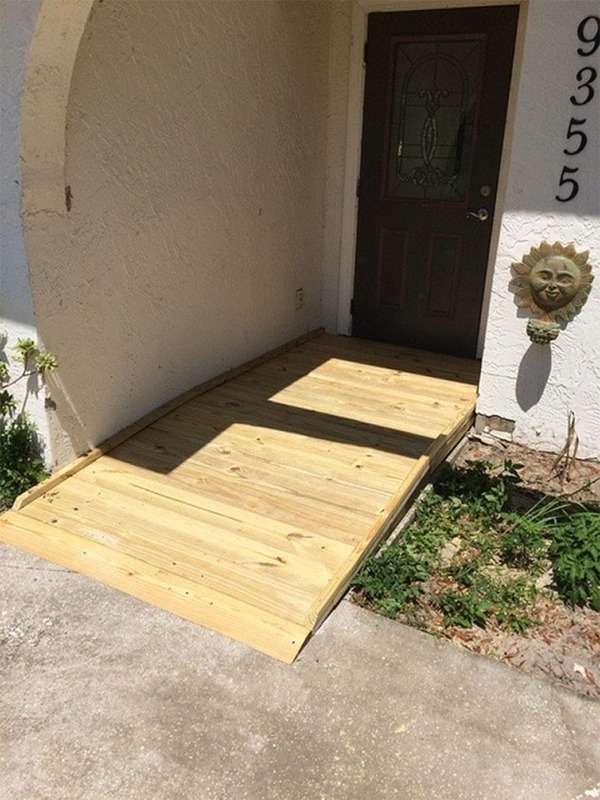 Our Certified General Contractor will make sure the ramp adheres to Florida Construction Accessibility Codes and American Disabilities Act Guidelines. 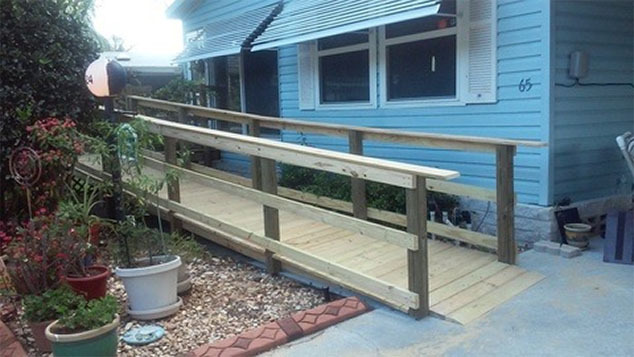 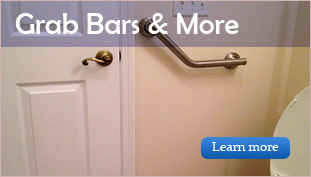 We can also install, American Made, Aluminum Ramps of all shapes and sizes.